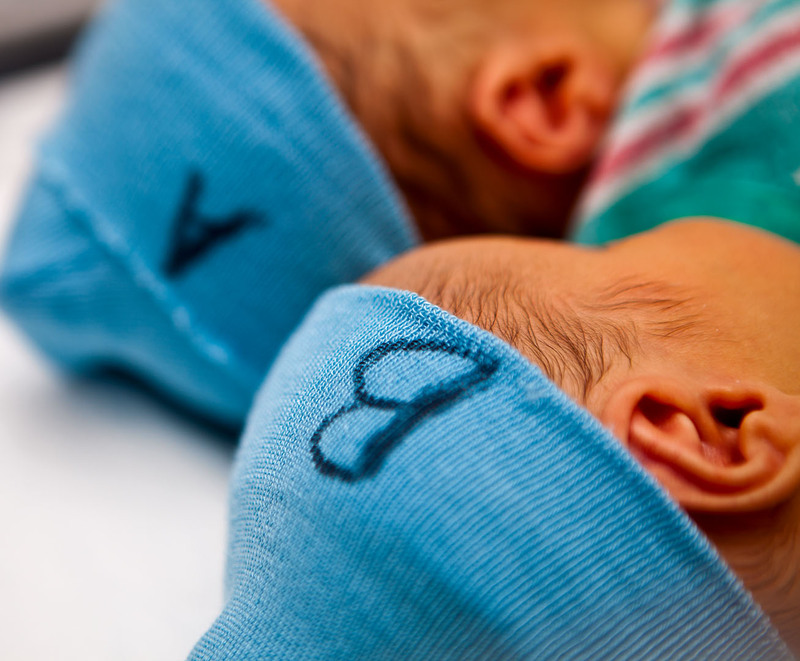 I originally began writing this in December 2012, when the twins were two months old. I didn’t finish it until August 2013, when they were ten months old. It took me that long to address some of the hard memories. It was scary. It’s true that I almost died, and most certainly came close to having a hysterectomy. More than a couple doctors and nurses said that if I had been at any other hospital, my outcome would not have been good. I had postpartum hemorrhage and uterine atony (i.e., when the uterus can’t contract again after losing so many placentas, babies, and blood). I lost 5 LITERS of blood – enough to kill me. They worked quickly and ended up doing three other procedures after my c-section, that same day, to save me. I only remember one of them- the most pain I’ve ever experienced (and I would like to think I’ve had my fair share of pain)- and then 2 other procedures while sedated (thank goodness). I woke up with my hands tied down and a breathing tube in my throat and I didn’t know if I still had my uterus or if G had even made it. I never met him until his third day of life. I had been on modified bedrest for the last trimester of a high-risk twin pregnancy, with a demanding and often quite sad 2-year-old. The women from my LDS church set up a rotating schedule for R during my last month, where a different sister picked him up each morning, and returned him each afternoon. They took him to their houses, or to the playground. For a major introvert like R, this was pure hell. Besides being pure hell, it was also a major contributing factor to the success of my pregnancy, according to my doctors. It was all I could do each morning to get him dressed and fed. I would hide my tears of pain from him as I got up off the floor. I had been having contractions since 18 weeks along. I had very carefully gained my recommended 75 pounds, and then 5 to 10 more of water weight – or tator tots. (I had been in the “underweight” BMI category.) By some miracle, I made it to 38 weeks, which is the very earliest the hospital would schedule a c-section. My pain was so great by the end that I was on narcotics for the last month. Don’t judge. Every ultrasound tech sucked in their breath and clucked with sympathy when they saw my babies’ head positions – dropped and locked. Together. The day of the birth came. It was October 2012. I was so relieved. I hadn’t slept or sat or eaten properly for weeks. Twin pregnancy is a living hell that I wouldn’t wish on anyone. (Anyone who says otherwise is probably the kind of person who says they can climax during labor.) Thirty-eight weeks is considered full-term for twins. I was doing good, technically. 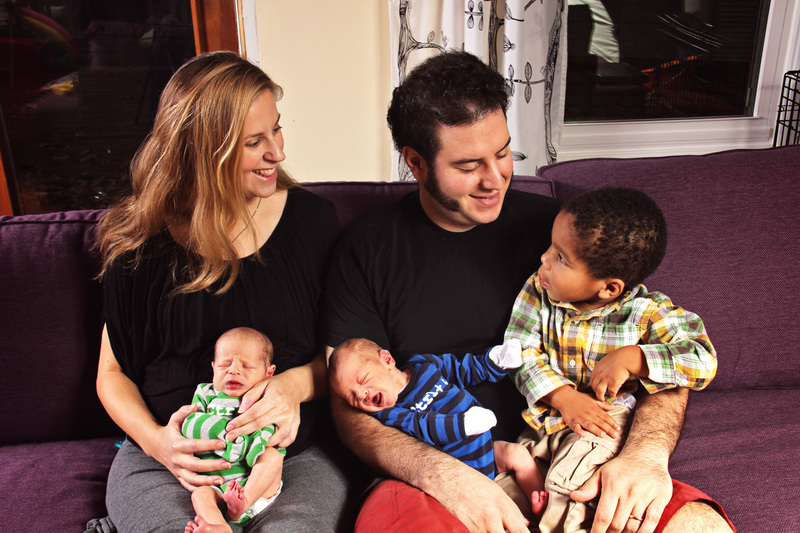 The last ultrasound showed that the babies were only 5 ½ pounds each, which is respectable enough for twins. 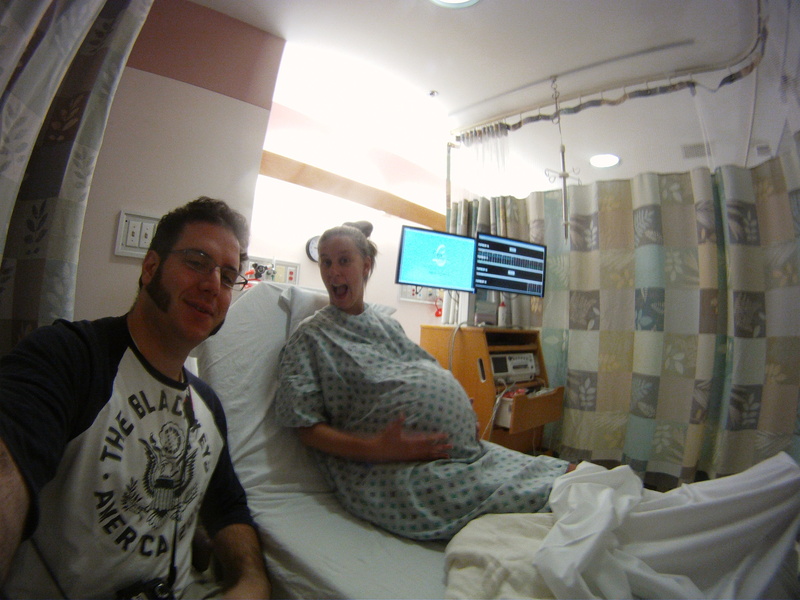 I had been 2 centimeters dilated for a few weeks, and having irregular, disorganized contractions. Everything looked good on paper. I was technically fine.But I knew something was wrong – or I just knew something was going to be wrong. I am not a pessimist. I just had this foreshadowing kind of a feeling. The c-section started out normal enough. As they pulled E out, I literally (obviously) felt a huge weight lift – I cannot express the relief of taking a full breath. I saw him, and I could hear my husband exclaim, “He looks like my Dad!” I remember thinking, why is that baby so pink? I had almost imagined him as an African-American, like our first son. And then I couldn’t keep my eyes open. I was going dark. I was in and out of consciousness as they pulled G out. I never saw him. He wasn’t breathing. I wasn’t breathing. Things were going wrong, but no one seemed super concerned. I could hear the various professionals around me commenting on upping my this and my that, but they weren’t rushing and they weren’t nervous. I wondered why no one thought things were that bad. At some point, my husband tried to take a family photo of us with E, just as I had asked him to do. I don’t remember him taking the photo and didn’t see it until much later. My eyes are closed- BECAUSE I AM UNCONSCIOUS! – and I look gray. It is not the kind of photo you put in your album. My husband told me later that G first responded to his voice. The doctors and nurses were working on him, somewhere behind me, and it wasn’t until his Daddy whispered to him that he took his first breath. Many, many months went by before I read all the detailed paperwork and realized G did not take a breath until he was 4 ½ minutes old. He was intubated and whisked off to the NICU. 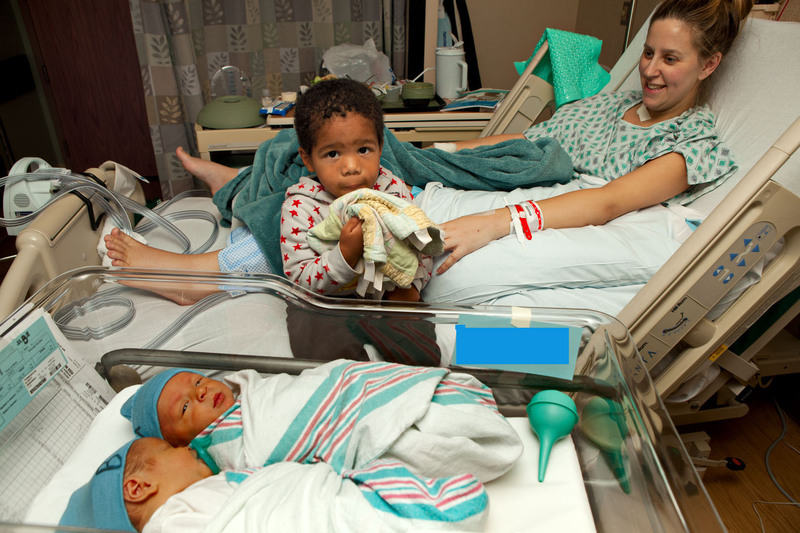 The babies were huge for twins – or huge for a momma with an underweight BMI. They were 7 ½ pounds each. Well, maybe- they had weighed G with his intubation tube in, so they told me we don’t have an actual weight for him. My husband said to the doctor, “Why can’t you just subtract the weight of the tube from the birthweight?” She replied, “It doesn’t work like that.” He said, “Um, yes, it does.” In any case, the babies were far from the predicted size of 5 ½ pounds each. As I lolled around, only halfway understanding anything, they wheeled us into the recovery room. I remember thinking, this is weird. I am not okay. Why are we moving ahead here? They gave E to me and my husband put him to my breast. We had a perfectly normal, yet out-of-this-world five minutes together as a family. E began to suckle. I couldn’t sit up and I couldn’t hold him, but E edged his way to his first meal. As a mom who previously did not give birth or breastfeed my “firstborn”, this was a heavy moment. My husband took the baby and stood in the corner of this small cubicle as the nurses shoved him aside. They began to poke and prod me. I could understand that I should have been bleeding, and I wasn’t. I was only leaking water. While this sounds like the opposite of hemorrhaging, it is indeed hemorrhaging. I was bleeding on the inside. Two huge placentas and two huge babies detaching from my uterus so quickly can make hemorrhage and atony more likely. My uterus couldn’t adapt. Or maybe I have some sort of bleeding problem. We will never know. The blood is supposed to come out, and it didn’t. The uterus is supposed to contract, and it wouldn’t. The surgeon rushed in. She began “uterine massage.” This phrase is perhaps the most poorly named phrase in the history of the world. She worked quickly and she worked HARD. She pressed from the top and from the inside at the same time to stop the bleeding. I don’t want to make anyone faint or anything, but I will just say that this is the most painful thing I have ever experienced in my life- AND I WAS STILL A LITTLE NUMB FROM THE SPINAL BLOCK! Please remember that she was pressing down on an area that had just been cut open and sewn back up. 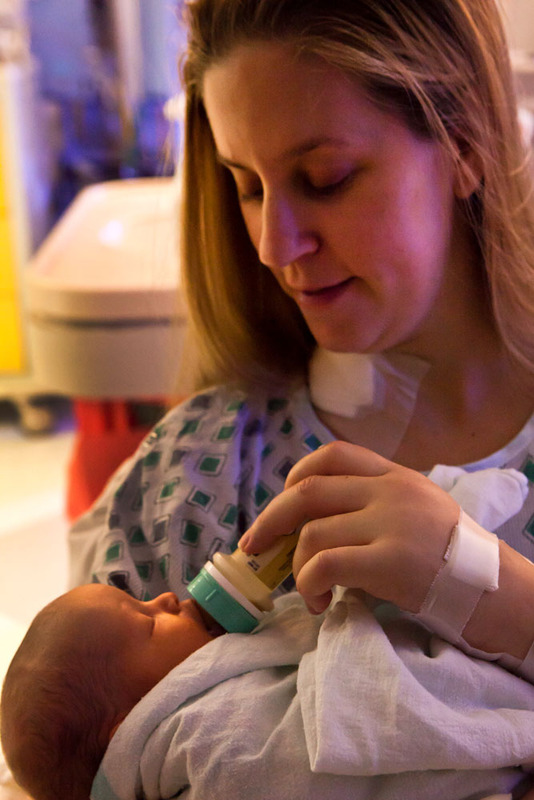 This procedure left me bruised for weeks, so much so that I couldn’t burp my babies for three weeks because I couldn’t bear the pressure of their tiny feet on my belly. I was levitating off the table. I was screaming. All I could think of, when I was screaming with blinding pain, was poor little E, there in my husband’s arms, three feet away. I prayed that my husband could read my mind, and he did. He covered E’s ears. What does that do to a child – to hear nothing but misery as he arrives? My husband later said that what he saw was a torrent of blood. His eyes and brain were scarred and I don’t think he has ever told me the extent of the gore that he saw. He felt completely torn in half. He wanted to hold me, and he wanted to get E the heck out of there. It didn’t work. I endured that pain for nothing. They whisked me away. I watched my husband and baby get smaller and smaller. I didn’t know what they were going to do to me. I didn’t know if I would hold E. I didn’t know if I would lose my uterus. And, worst of all, I had never even seen G with my own eyes and didn’t know if he was okay. They mercifully put me to sleep. I don’t remember anything for a while. I woke up two days later, in the ICU, with a tube down my throat. It was dark. I was in terrible pain. I didn’t know where my husband was. I didn’t know if I had had a hysterectomy. I didn’t know if G had survived. It was the lowest point of my life. Everything was okay. I had not had a hysterectomy, although I had come close, and the doctors told me that I most certainly would have if I had been at a smaller hospital. G was doing very well in the NICU, and was breathing on his own. My tube would come out. My husband tried to piece things together for me. I was under a lot of narcotics, and this time is very hazy to me. He said that I had actually been conversing with them a little bit during my ICU stay. I didn’t believe him, so he showed me the papers where I had tried to scribble my questions when I couldn’t talk while intubated. He told me that my mother and father had been there too and he had pictures to prove it. I couldn’t remember any of it. Anyone who has ever been in the hospital for an extended stay would understand. I had been sedated into some sort of twilight phase. Sometimes, he would tell me something and these weird, underwater memories would seep back to me. I would cry from pain and confusion. He told me, several times until I could remember, what had happened to me. When they put me to sleep, they immediately did a D&C to stop the bleeding. It did not work. Then they tried one last procedure, where they inserted a “balloon” into my uterus to stop the bleeding. They left it in for a couple of days, and slowly decreased the size of it to help my uterus contract. It had a tube to let all the blood out. The balloon works by applying pressure to the uterus from the inside. Like an internal tourniquet. It was this balloon procedure that had saved me. On the third day, I was wheeled into the maternity ward to learn some things, like how to pee and how to walk. It was an extremely painful week. I remember sleepless nights, although they were sadly from my pain and not from my babies. I remember having the catheter for far too long for anyone’s comfort. I remember tremendous amounts of narcotics – so much that I would get the shakes and the chills and flu feelings an hour before my next dose. My husband was by my side for the whole thing. He brushed my hair and my teeth. 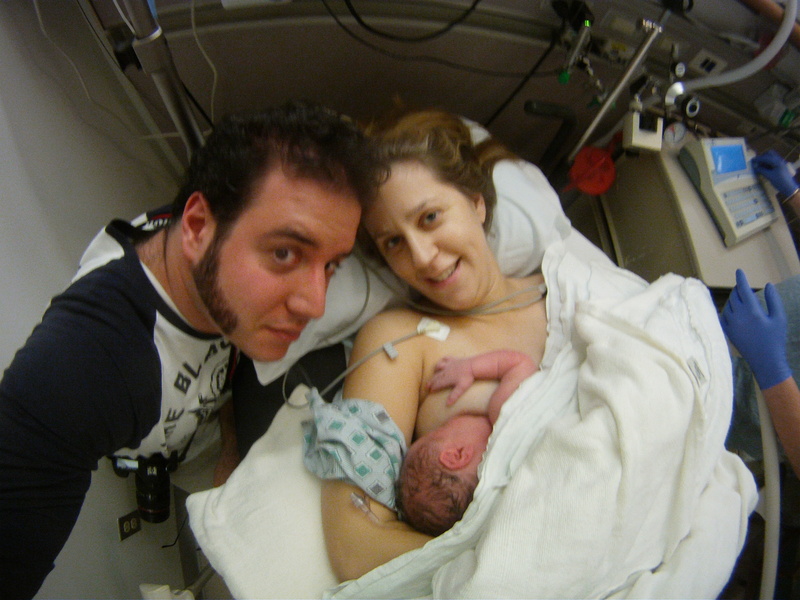 He brought back pictures and reports from the NICU, where G was, and the nursery, where E was. They finally wheeled me down to meet G in the NICU as soon as I could possibly sit in a wheelchair. It was a momentous occasion, but meeting him was almost more than I could bear, physically. Sitting up made me sick and weak. I couldn’t hold my neck up and I didn’t know why. I later learned it was because I had had six ports SEWN into my neck for two blood transfusions. My neck was now bandaged into an unmovable position. I tried to hold G and feed him, but I started to cry and had to be taken back. Just getting back into the bed was more than I could bear. I was hooked up to all sorts of machines and had bandages all over my body for reasons I didn’t know. There were some nights when I thought I would never get out of there. There were some moments when I thought I did not have the strength to ever walk to the bathroom again. (Even my throat and neck were searing from the pain of the intubation tube. I was hoarse for weeks. ) What I did felt like it took superhuman strength and willpower. I am not the first person to be hospitalized. I am not the first person to almost die after birth. I am not the first person to recover. I know that. But when it is happening to YOU, suddenly the world is a very cruel place. I can’t even look at hospital beds on TV shows without feeling sick these days. The worst pain is that, when I look back on my one piddly little week in the hospital, I don’t remember much about the babies. I didn’t hold them. I didn’t nurse them, although we put them to the breast for comfort. I didn’t burp them. I certainly didn’t change them. I missed their first bath in the nursery. I missed G graduating from the NICU to the nursery. I missed out on a lot, which made me so angry after having missed out on the very beginning of R’s life as well (from the adoption). It wasn’t fair to any of them. My husband’s parents kept R for that entire week. They brought him to see me every day at the same time. It was the best and worst part of each day. He was so scared of me. He was so sad. He was so confused. He wouldn’t sit on the bed with me or hug me. He was not exactly an adaptable or happy kid anyway, so this major life event had thrown him. I tried so hard not to cry or show my pain when he was in the room. My husband would always take him down to the cafeteria and try to not let him overwhelm me. My mommy guilt was sky-high. I found out months later that he had thrown up in my in-laws’ Cadillac on the way to the hospital because he was so scared. That first day had been hard on everyone. We had four grandparents, two aunts, two cousins, and our firstborn son waiting in the waiting room for that joyous moment when my husband would come down and shout, “They’re here! Our two boys are here!” That moment never came. Little by little, they began to realize that things were going wrong and they would have to go home. Over time, I heard from each of them about what that day had been like for them, from their perspective, and it breaks my heart. One aunt described it the best. She began to sob as she said, “The whole day can be summed up in one moment: watching your mother-in-law walk out of the hospital with the balloons and flowers she had brought for you.” The joy left the hospital that day. It was all so scary for me, but I feel the worst for my husband. He saw some major gore, had to deal with all our family’s questions, and had to go home alone that first night. He said that was the worst part: not knowing if I would make it, and having to go home anyway (there is nowhere to stay when someone is in the ICU), and realizing that all 5 of us were in different places. I was in the ICU, G was in the NICU, E was in the nursery, R was with grandparents, and even the dog was at the kennel! He wrote me a love letter that first night and sent it to my email…. and I got it a week later when I finally checked my email. Bless him. That was probably the most romantic, yet sad, gesture I can remember. It is too sacred to me to ever share. I have recovered. I am probably 90% back. It was so slow- I had to learn to walk again. I came home with a physical therapist and a walker. The whole thing was brutal. As the weight started to come off and the swelling went down, my ankles looked like cartoonishly skinny. My calves looked like a coma patient’s calves. Also, because of the blood transfusions, I almost didn’t make any milk. The doctors told me that transfusions messed with my pituitary gland, and that I might never make any milk. I surprised even the lactation consultants, when it came in later than they had ever seen – somewhere around the eleventh day. I am grateful that I can give my babies a little immunity even if I can’t make them full. Nobody really likes us to talk about what happened. Only he and I knew how bad it really got. The days and weeks after were filled with sleeplessness, painkillers, a rotation of grandmas/aunts/cousins who never left us alone at night, meals provided by the church sisters, two tiny babies who needed constant love, and a disgruntled 2-year-old who also needed constant love. He seemed to be dealing with his own PTSD symptoms after having his mother go into the hospital and stay there. Despite all that, my husband and I would catch a quiet moment together now and then, and he would tell me another little piece of my story from that week. He would show me the scribbled notes I had tried to write him when I couldn’t speak- and his translations beside them. He would show me another picture from the ICU. I don’t think I found the pictures of G in the NICU and his oxygen tent until months later, and I burst into tears because I still had no idea what had happened to him during those days when I was sedated. The mommy guilt was crushing. We also had practical concerns to address – like what would happen if I were to leave him with three little ones! We leaned on each other and cried, both from relief, and from fear. We had a lot to process together. I sit here with G strapped to my chest in a carrier, R “fixing” his cars with his tools at my feet, while my husband does the dishes with E in a front pack. Life is good. I’m glad to be here. What an intense experience! I’m so glad you’re ok and here to share your story.